Just in time for Valentine’s Day, Givenchy Beauty has launched a couple of lovely rose-themed products for the beauty lover in your life: Rosy Crush Eau de Parfum and Le Rose Perfecto (seven shades of lip balm plus a white shield for a touch of “holographic” shine to your lips). Le Rose Perfecto combines colour with soothing lip balm, creating a creamy formula to leave lips feeling hydrated and nourished. Shea extract softens lips while hyaluronic acid spheres fill in fine lines and capture water molecules found on the lip’s surface. These spheres have been shown to increase their volume by up to 50 times giving your lips a fuller, smoother appearance. 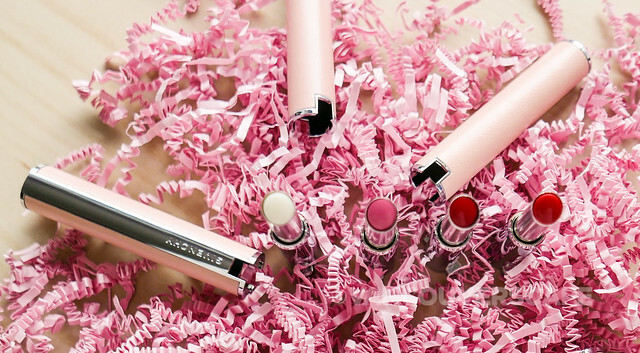 Pro tip: Accent any of Le Rose Perfecto’s seven shades with a touch of White Shield #000 on top for added volume. Each lip balm comes packaged in a sleek genuine peach-toned leather case with two metallic studs at the bottom, precisely notched in where you lift the case to reveal the product. The shades are Glazed Beige, Timeless Pink, Fearless Pink, Soothing Red, Solar Red, Warming Red and Cosmic Plum (plus White Shield). Le Rose Perfecto has just arrived at Sephora and at Holt Renfrew/Ogilvy stores for CAD $45/USD $37. 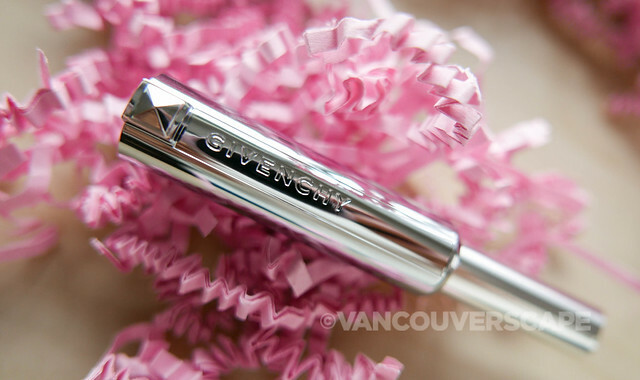 Givenchy’s Live Irrésistible Rosy Crush contains a robust rose aroma with notes of pink and goji berries. The fragrance profile is feminine, spontaneous and playful, that of “a heroine with a thirst for life” and a contagious energy—simply irrésistible! It’s packaged in a pretty, slender faceted bottle accented with Vichy’s trademark studs. Embrace the power of pink this Valentine’s Day for yourself or your sweetheart. Live Irrésistible Rosy Crush is available in three sizes, 30ml, 50ml and 75ml, priced at CAD $81, $101 and $136 respectively. USD pricing: 50ml, $91; 75ml, $107.